The use of traditional Chinese medicines (TCMs) in the European Union (EU) is hampered by strict registration procedures, say experts. This could have a negative impact on domestic confidence in TCMs, in China, and lead to medicine shortages in established European TCM clinics. In 2004, the European Commission (EC) stipulated that traditional Chinese medicines (TCMs) must be registered, before the end of April 2011, prior to being sold in the European Union (EU). But with this deadline passed, very few TCMs have been successfully registered. 'This is a tremendous strike to both TCM makers in China and practitioners in Europe,' says Man Fong Mei, president of London-based Mei's Group, which operates TCM sales and herbal clinics across the UK. 'We the TCM workers should jointly fight the situation,' he told Chemistry World. The EC allows traditional herbal products to be imported, produced and marketed, after registration through a 'simplified procedure'. China applauded the move as a big step forward for mainstream western countries to recognise TCMs. However, isolating and identifying the active molecules in TCMs is difficult as they often consist of several herbs. 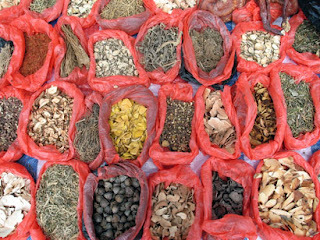 The Chinese government and public research institutes have encouraged Chinese TCM makers to register TCMs in the EU by creating expert teams, holding national meetings, and publishing EU registration handbooks, according to Liu Zhanglin, vice-president of the China Chamber of Commerce for Import & Export of Medicines and Health Products. But after the 30 April 2011 deadline, none of the major TCM makers in China have implemented the registration process. 'Compared to the small sales in the European market, the registration costs are too high,' says Hou Dakun, president of Beijing-based pharmaceutical consultancy KelvinKing. In 2010, China's TCM exports to the EU market were valued at US$250 million (£152 million), accounting for 13 per cent of the nation's total TCM exports. However, the average cost for certifying and registering a TCM consisting of 5 herbs is between 500,000 (£444,800) and 1 million. During registration, each herbal component of a TCM must be certified, and their proportion and curative effects should be consistently proved. In addition, each herb in a TCM must have a proven 30 year safety record and a proven 15 year safety record in the European market. 'Most TCMs are sold as food supplements in the EU market, and it is very difficult to prove their safety history in medical use,' Liu says. 'The message that TCMs cannot get registered in Europe will also impact domestic confidence on TCMs,' Hou told Chemistry World. In Europe, thousands of TCM clinics will have no drugs to use. A lot of TCM clinicians may lose their jobs and as a whole, the emerging TCM market in the EU will soon collapse, according to Liu, who appeals to the Chinese government to set up a special fund to help industries to register TCM products in the EU.